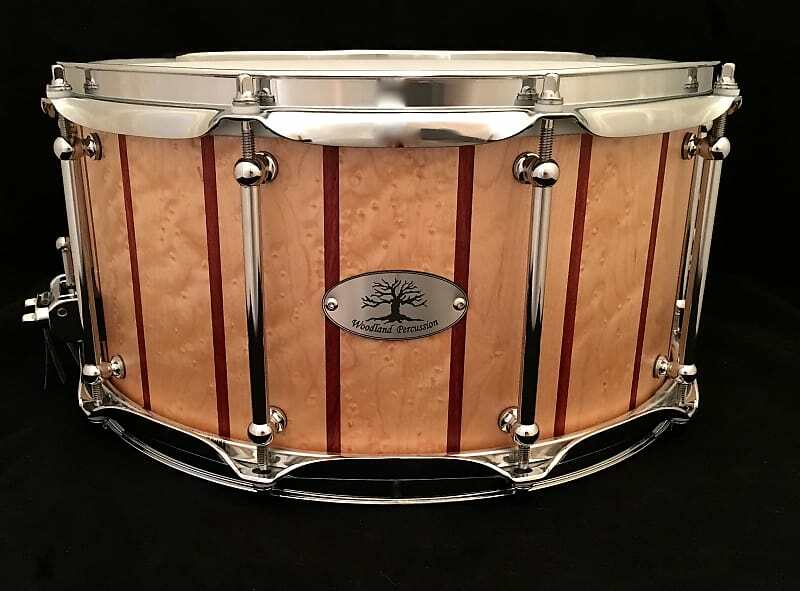 This Woodland Percussion 14"x 7"x 1/2" Stave snare is constructed of Solid Birdseye Maple with stunning African Padauk accents. 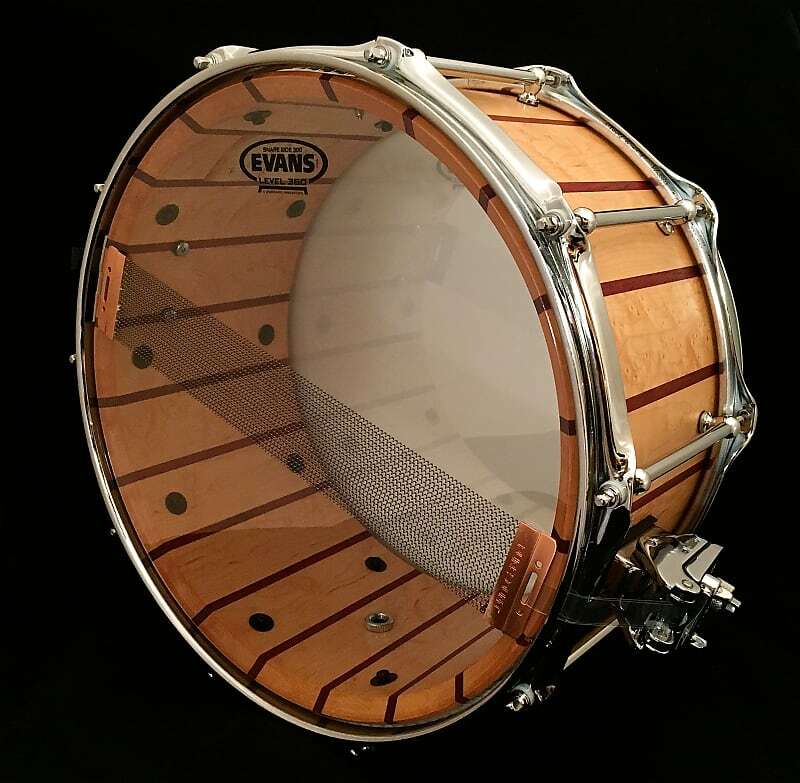 These accent stripes are not just inlays, but are built directly into the staves that create the shell itself. This provides a wonderful visual aesthetic both inside and out! 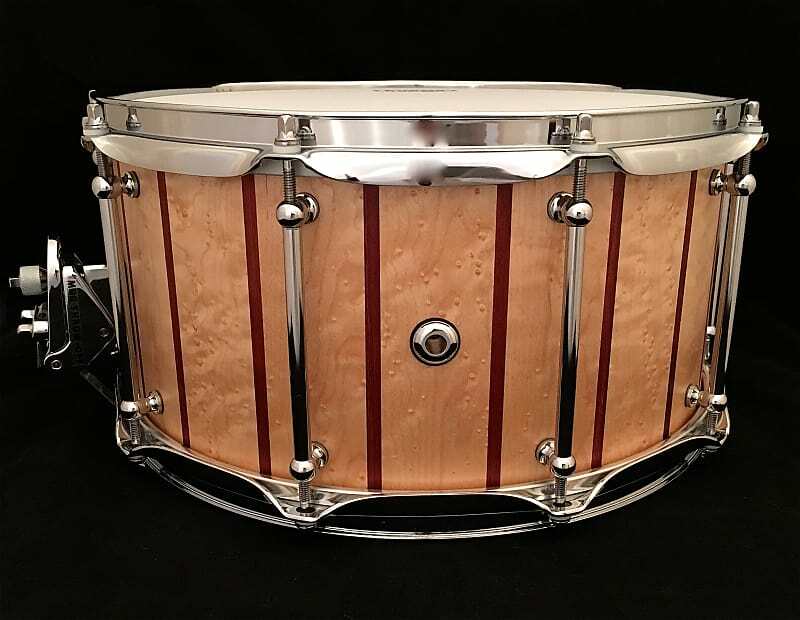 Maple is a "staple" in drum manufacturing. 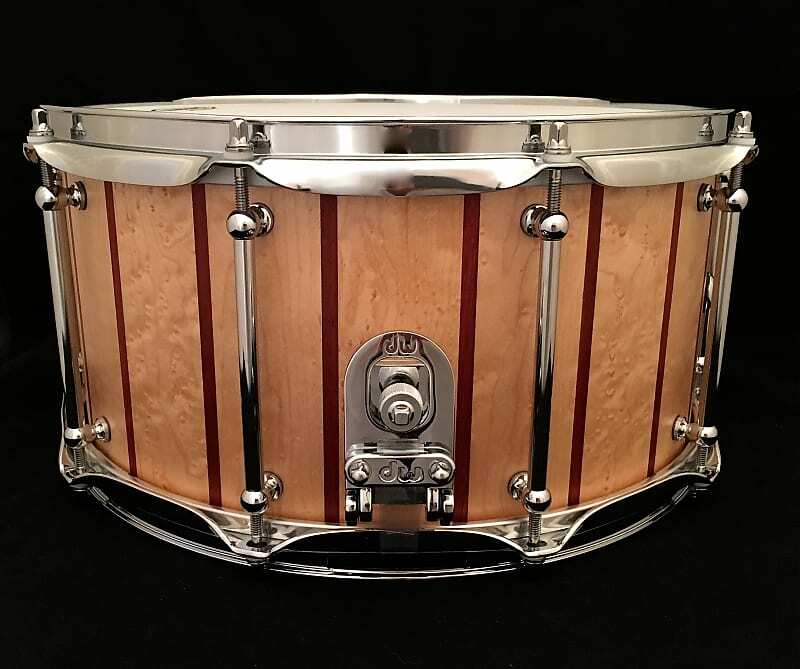 Its iconic resonance and overall warm tone has made this wood a favorite among drummers for many years. 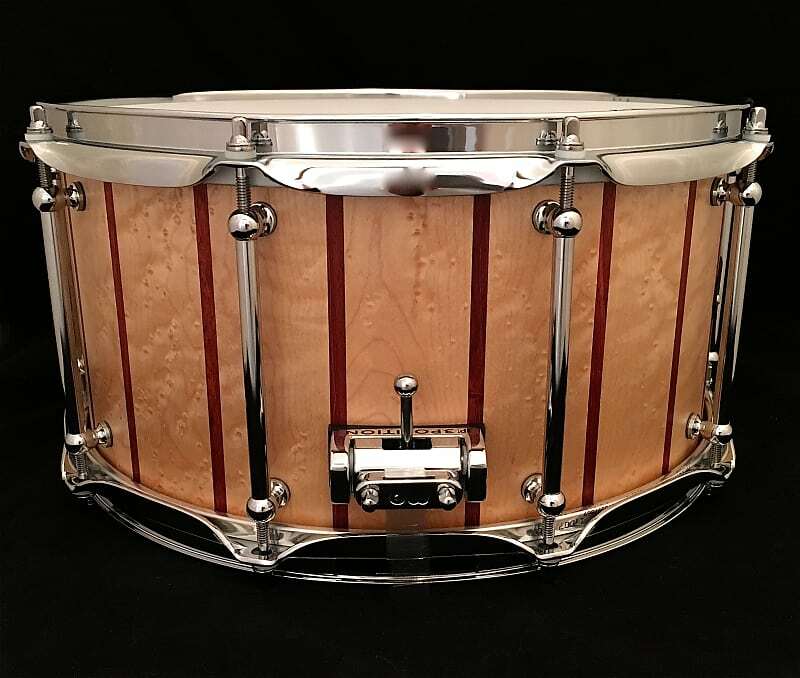 Based on purchase price of $869.99 at 10% APR for 12 months. Excludes tax and shipping fees, to be calculated at checkout. Rates range from 10-30% APR. Choose from 3, 6, or 12 monthly payments.